Maximizing sleep space is achieved with the stylish Rowe Collection. This transitional bedroom group is featured in a dark cherry finish making it an appropriate choice for a number of youth bedroom settings. 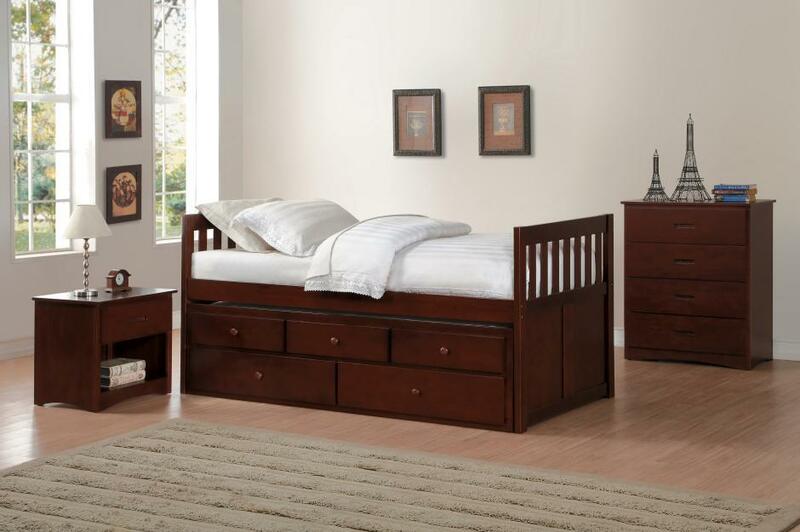 The newly available captains bed, with trundle that features two working drawers. 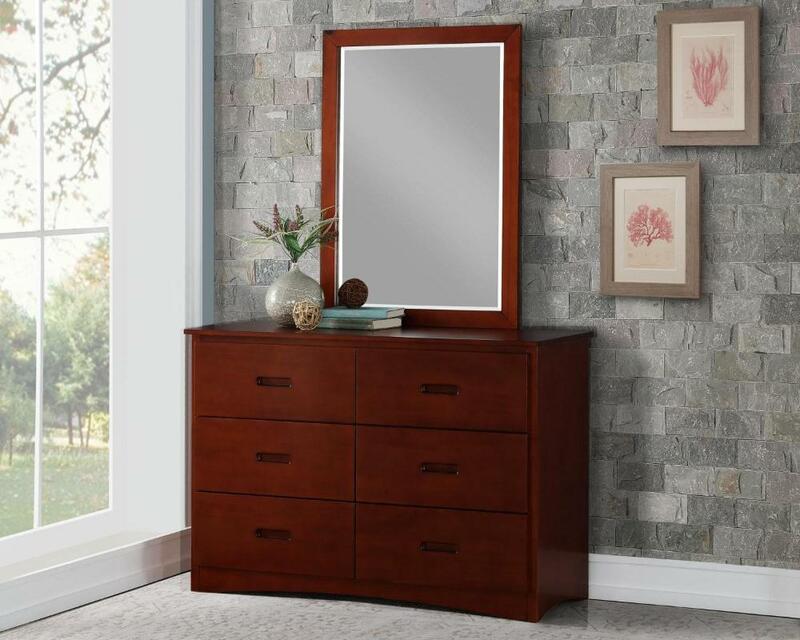 The collection also offers a night stand, dresser, mirror and chest. 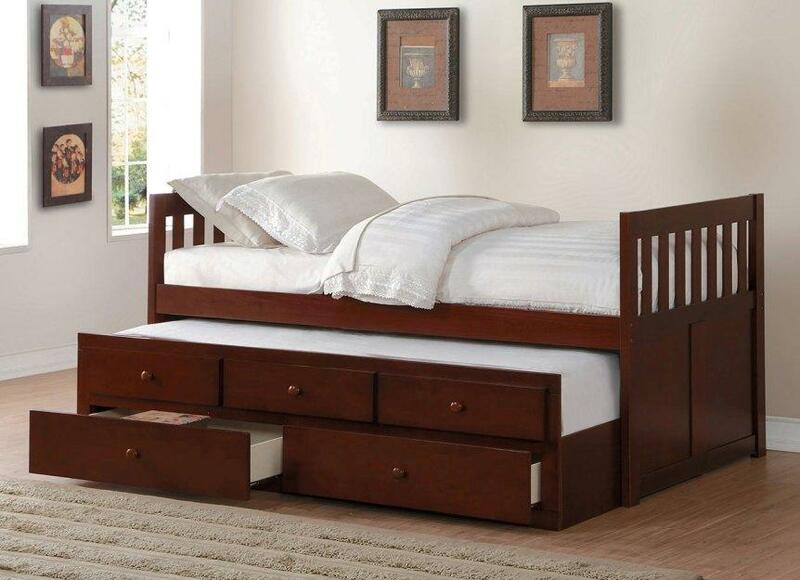 FEATURES: Dark Cherry Finish ~ Transitional Style ~ Includes Trundle Unit with Two Working Drawers ~ Wood Captain's Bed / Day Bed ~ Night Stand / Dresser / Mirror & Chest Available ~ Metal Glide Drawers.